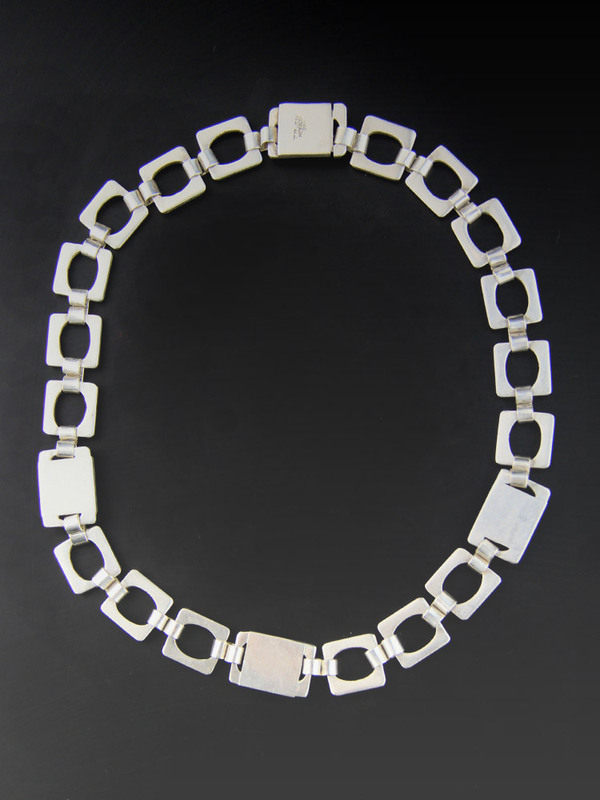 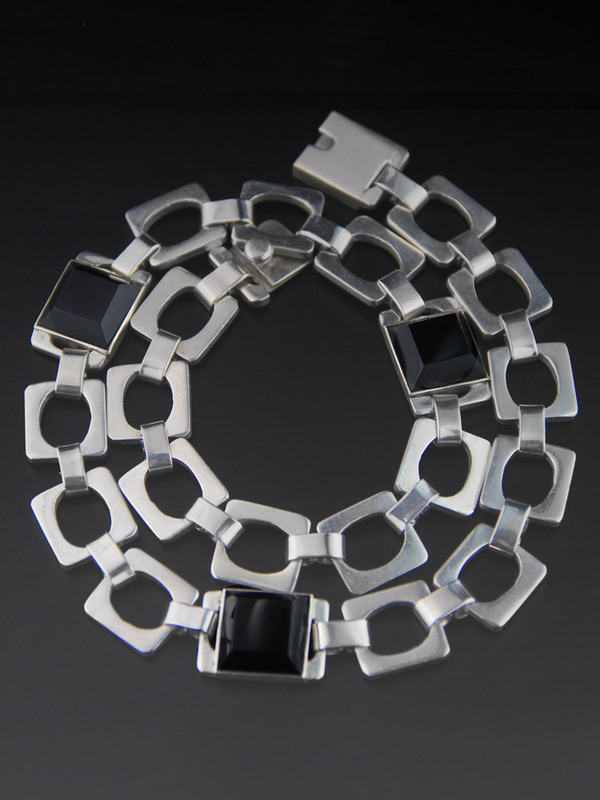 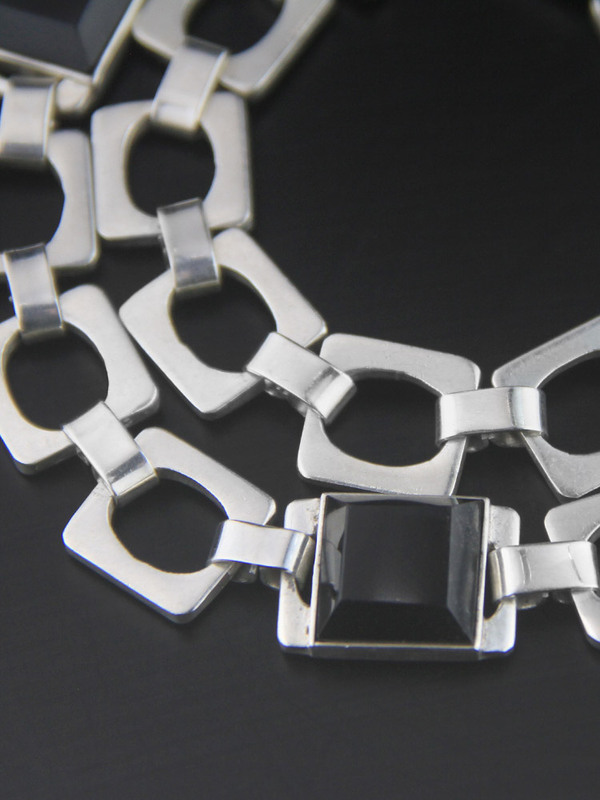 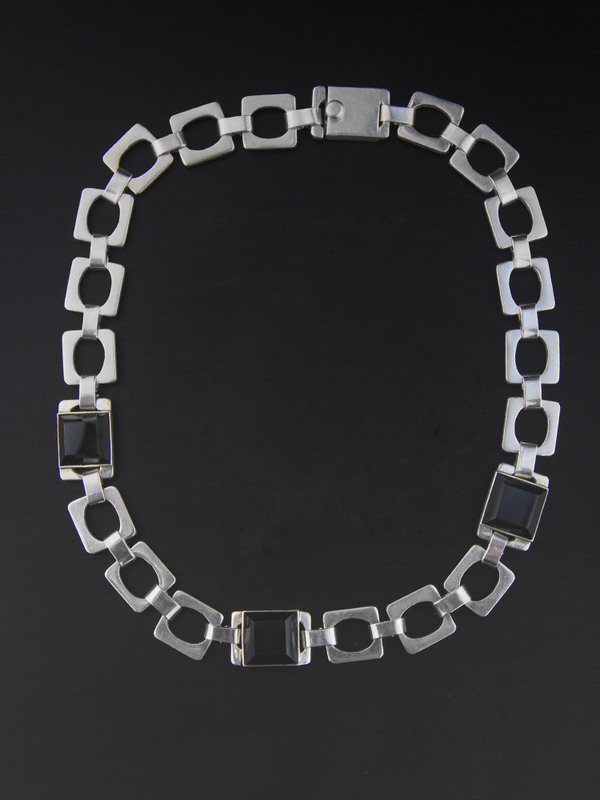 Lovely handcrafted sterling silver necklace, handmade in Taxco, Mexico c1980s, this is a finely crafted big open link necklace with three facet cut smooth bezel pieces of onyx. 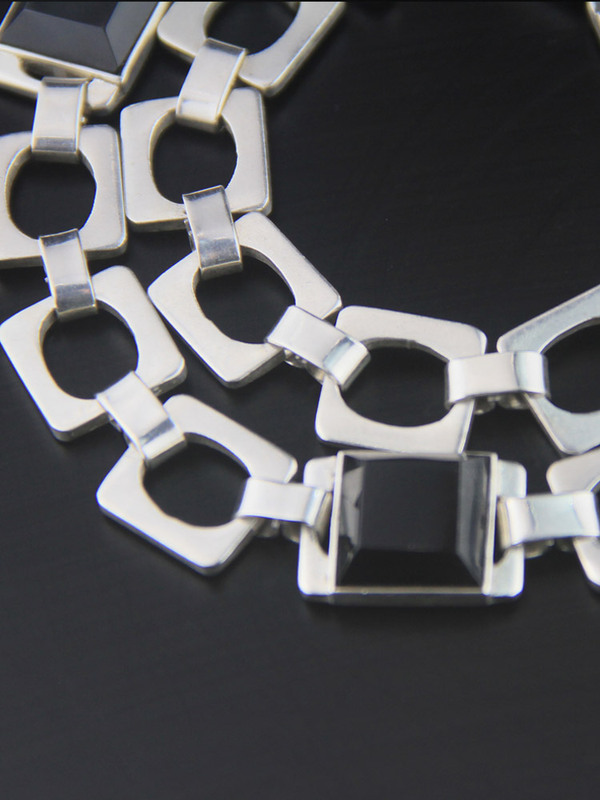 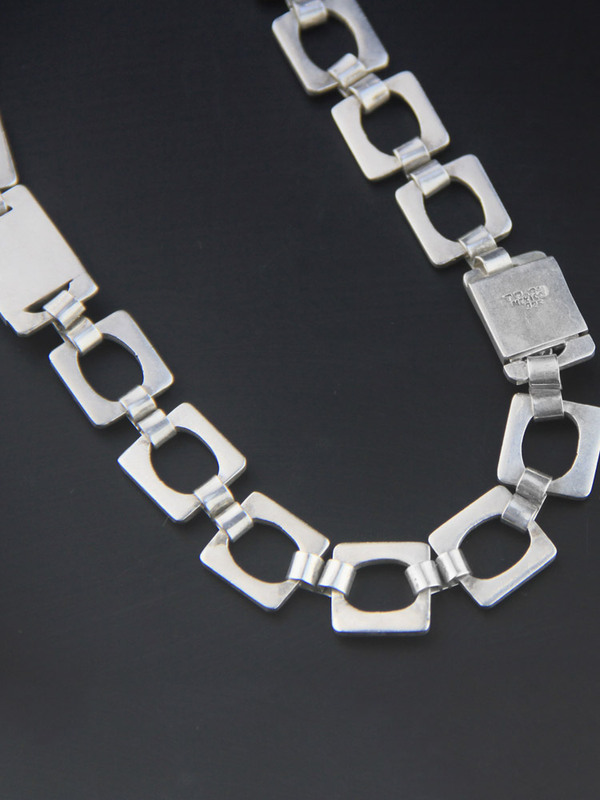 Heavy tab clasp, closes with a crisp click. 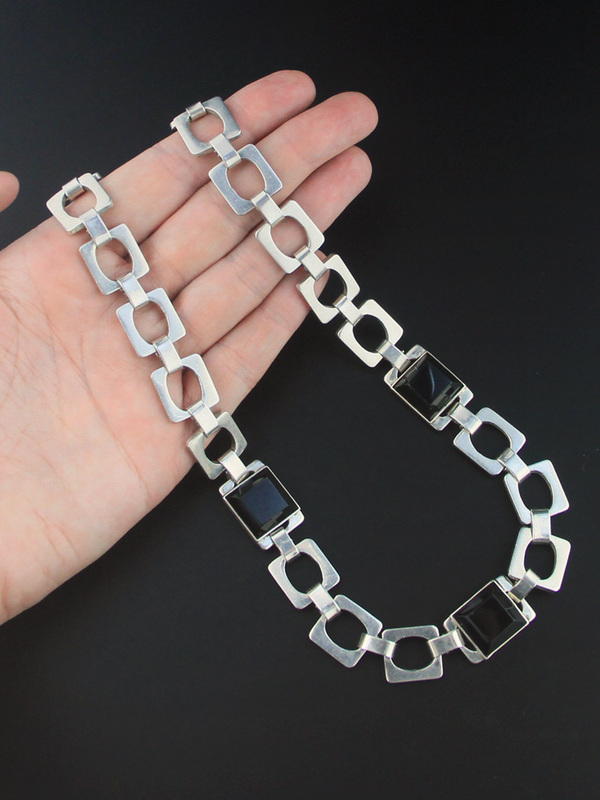 Beautiful modern design and a generous gauge of silver. 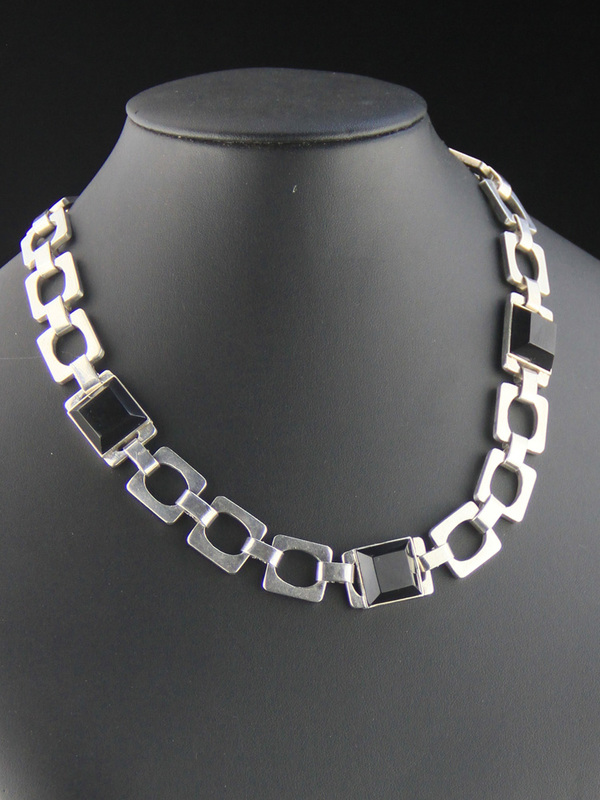 Very finely crafted, a decent length - a piece to keep for a lifetime.